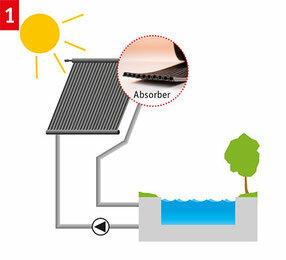 & solar drinking water heating in the summer season - for sunny regions! 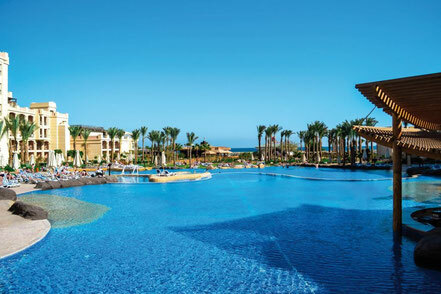 Holiday hotels invest large sums in the construction of attractive pools and sophisticated water slides. Pools and slides are only used for a few months during the peak seasons. 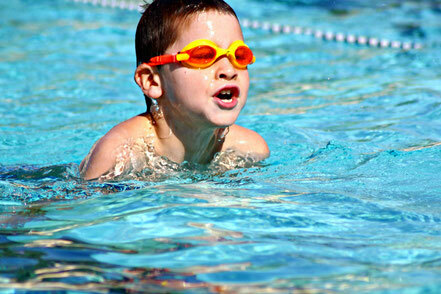 Low water temperatures make it impossible to enjoy such facilities during the other seasonal periods. 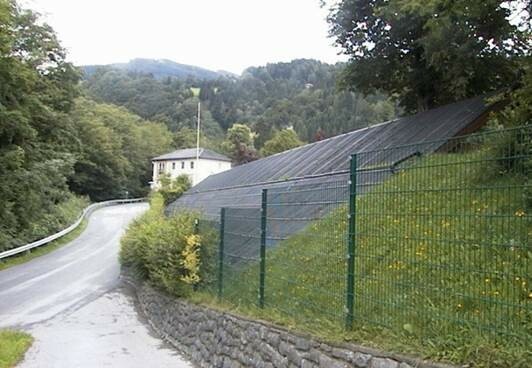 The state of the art for about 30 years in Central Europe, largely unknown in southern regions: Solar absorbers for heating large amounts of water. A pleasant side effect in sunny regions: During the summer months, you can use the energy generated in the absorber to heat drinking water. 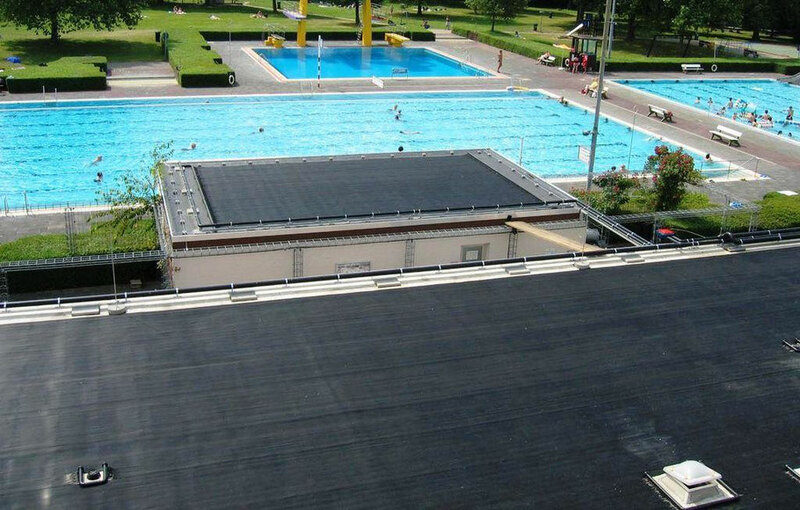 "Solar swimming pool heating with unglazed absorbers is, economically speaking, the most interesting application in the area of solar-thermal utilisation. 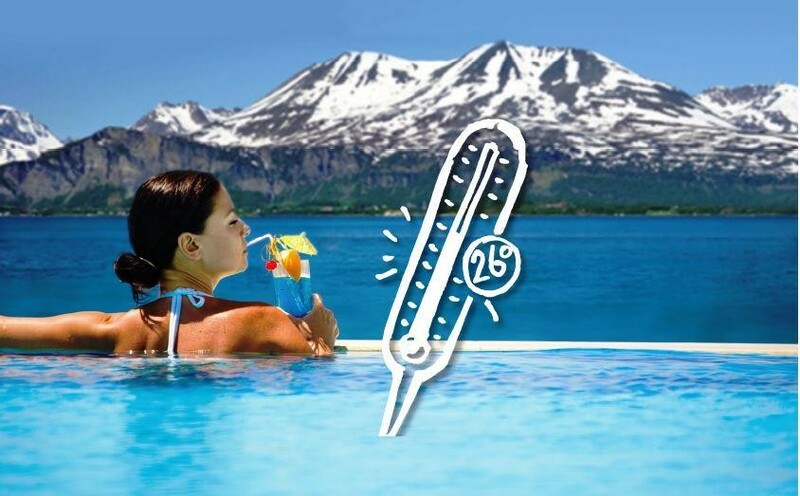 For hotels in Southern Europe, the question of how to exploit solar energy often arises in the summer months, since the swimming pool water is already heated sufficiently by the air temperature and direct solar radiation alone. 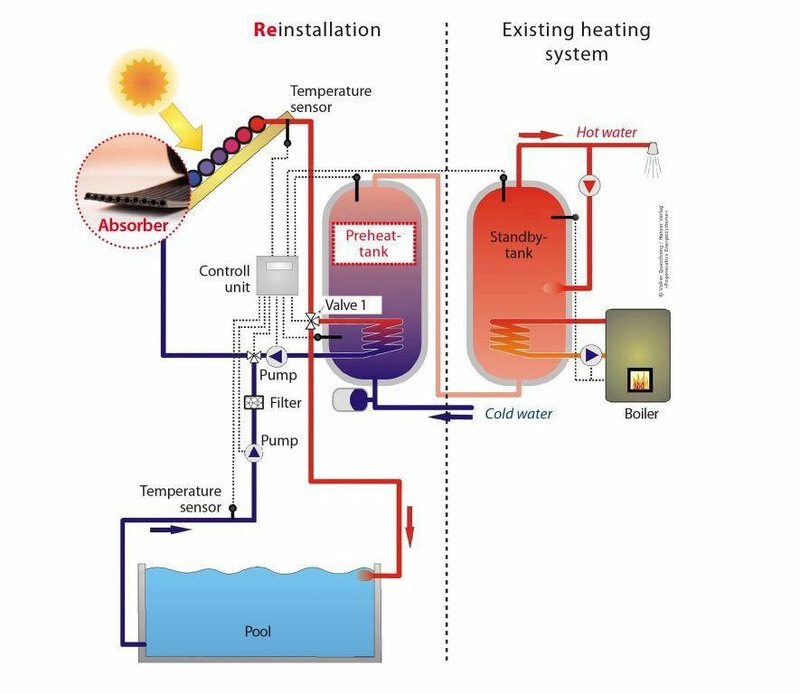 The Solarthermie² system solves this problem with the novel concept of utilising the summer excess for drinking water heating. 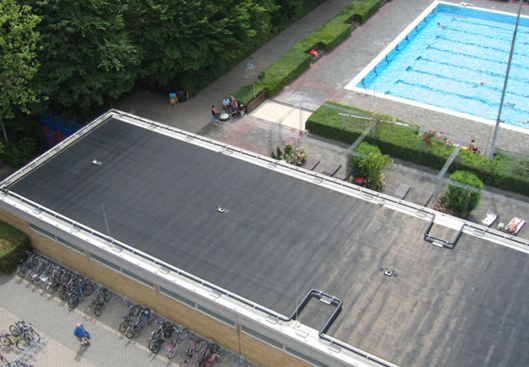 This kills two birds with one stone: extending the operating period of the swimming pool in the winter term and cost-effective drinking water heating during the summer months. It only now remains for this concept to become a model for hotels in southern holiday regions." 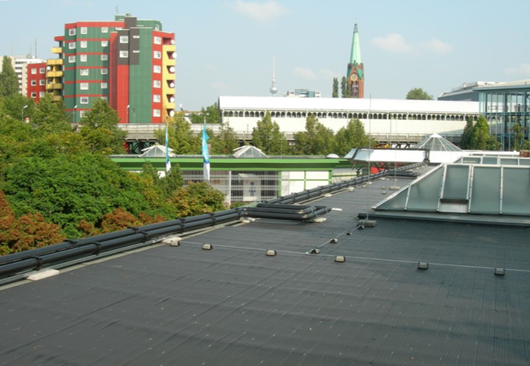 "For the Berlin baths, solar absorber systems are a practical solution for reducing operating costs and meeting climate protection goals." 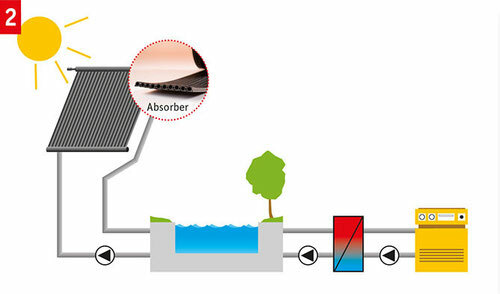 Absorber systems have already been installed in well over 2,000 municipal pools in D-A-CH! An economical and effective method. The bathing season can be extended significantly. 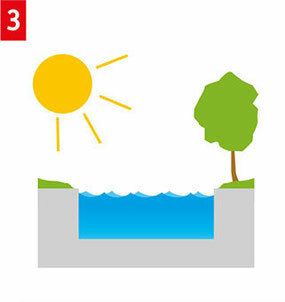 Combination of 1 and 4. A practical solution when constant temperatures are required, e.g. for training and competition pools! The easiest and most economical method. High temperature fluctuations and short times of use, depending on the region. 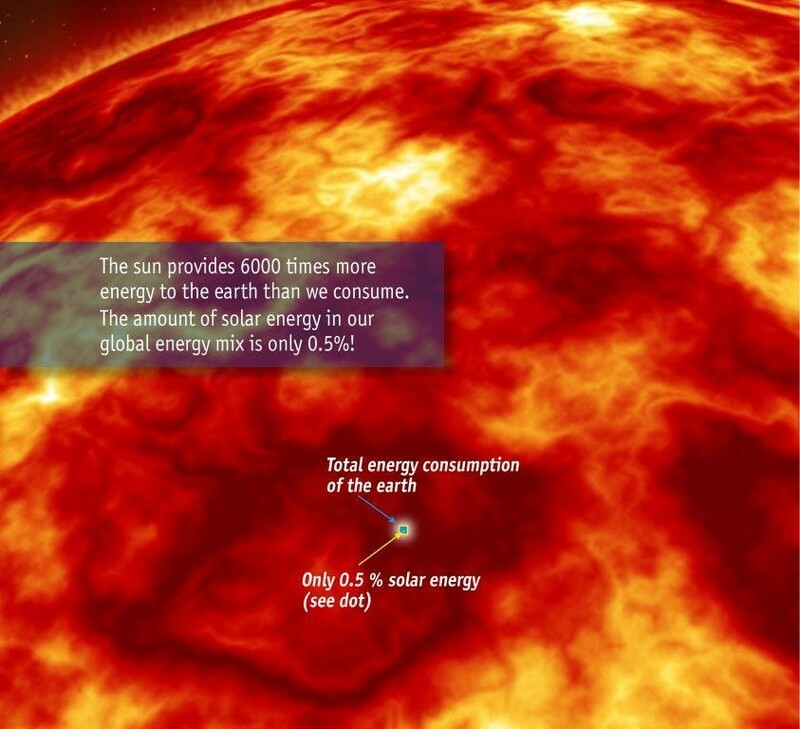 The most expensive and environmentally harmful method. 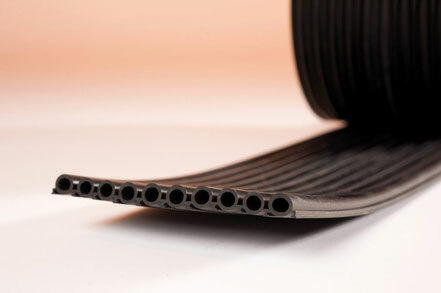 Guarantees constant water temperatures, causes high energy costs and high CO2 emissions! "The innovative solar system developed by the Wagner company for use in Mediterranean hotel facilities is technically sophisticated and has great potential for lowering energy costs." 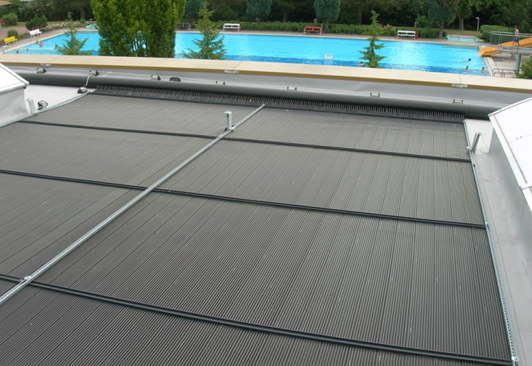 A hotel‘s existing heating technology is supplemented by the solar absorber, the preheating reservoir and the control technology. When the pre-set pool water temperature has been reached, valve 1 directs the energy generated in the absorber to the preheating reservoir. 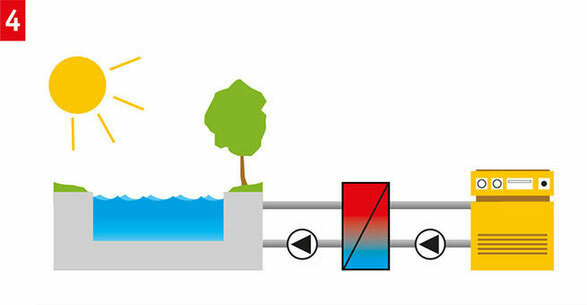 The cold water in the preheating reservoir can be heated to 45/50°C or 55°C with solar energy depending on the intensity of the sun. 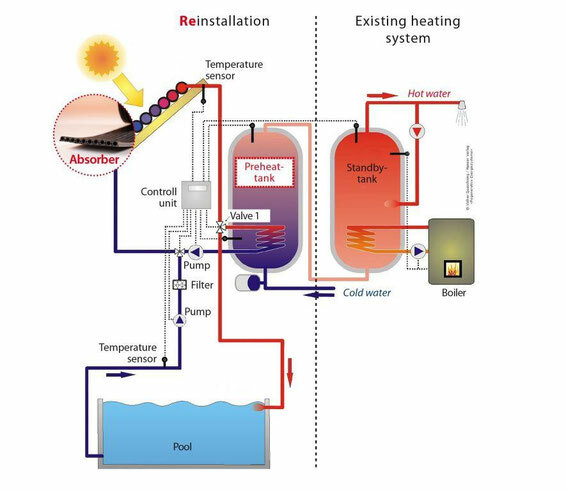 The existing heating system only needs to compensate the difference to reach the required 60°C.